Creating home compost is a simple and cost effective way to build a better soil for your plants and to help the environment at the same time. You can buy a compost bin from a nursery or hardware; or build your own if there is enough room in a hidden corner. Or just start up a heap directly on some level ground where soil organisms can easily move in for a feed. 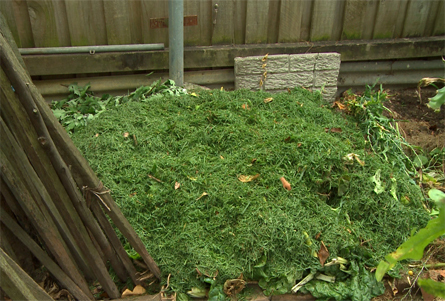 These organisms do much of the work to break down organic wastes into compost so look after them like pets. They need food, air and water. Give them a mixed diet that's half nitrogen-rich green materials like lawn clippings, leafy garden refuse, vegetable and non-meat food scraps including tea bags and coffee grounds, seaweed and manure from herbivores. 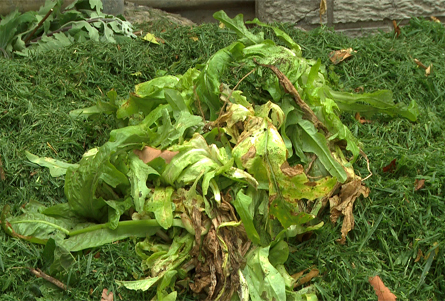 Leave out any diseased plants, weeds that have already produced seeds, and plant parts that can readily produce roots. The other half of the diet should be carbon-rich brown materials like dried leaves, shredded newspaper and cardboard, straw, small sticks and wood chips - nothing that will take too long to break down. Some organisms can work under low air - or anaerobic - conditions, but they are slower operators and produce foul odours. Instead, give the good organisms plenty of air circulation and favourable conditions by turning the whole compost regularly. 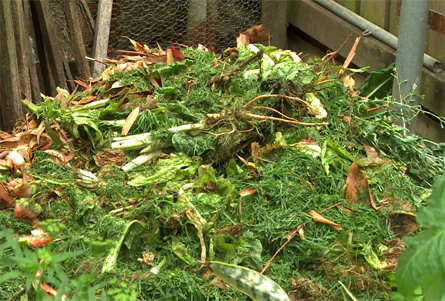 Turning can be hard work - but it is essential so keep it in mind when deciding on your method of composting. The compost should be kept moist: not too dry but not waterlogged. Too much water again means there wont be enough air. 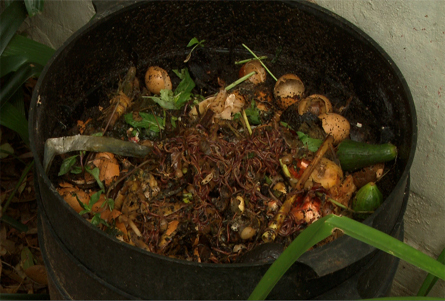 Your compost is ready when the centre stops producing heat, is dark and has an earthy smell. Dig the compost in no more than 30cm deep to prepare new garden beds for planting. Or spread it around as mulch 5-7.5cm deep on established beds. Instead of ending up as landfill, your wastes will be feeding your soil so that it holds onto water and nutrients longer for your plants.